Planning to get Philippine passport next year? Then ready your processing fee. This is because the Department of Foreign Affairs is planning to implement new guidelines that will require advance payment through banks as a part of online appointment for passport application or renewal. According to DFA Secretary Alan Peter Cayetano, the guidelines for bank "e-payment" will be out next few weeks. This will require applicants to pay at least half of the passport fee. Cayetano said this measure can lower the high percentage of no-show, since the wait to get an online appointment now takes months. 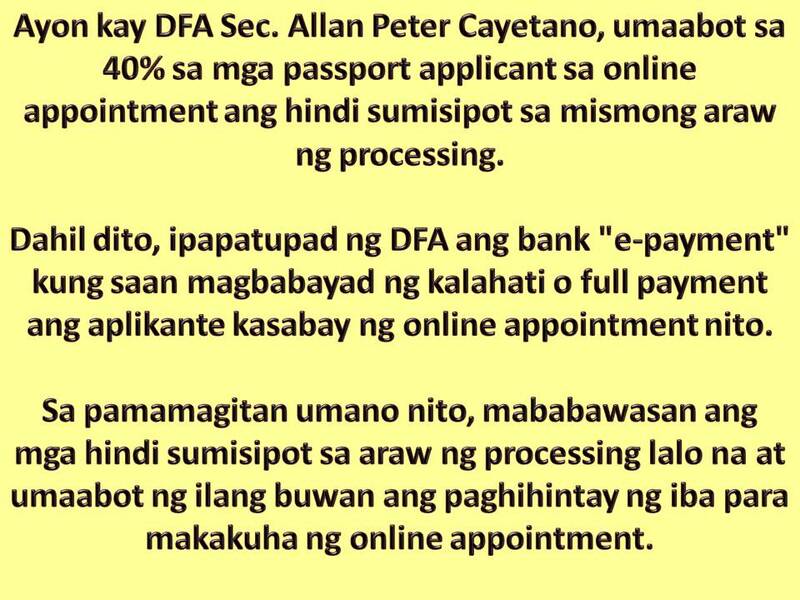 The DFA Secretary added that around 40 percent of those who make an appointment do now show up. With this, passport applicant may choose to pay half of the full amount of processing fee upon making an online appointment. 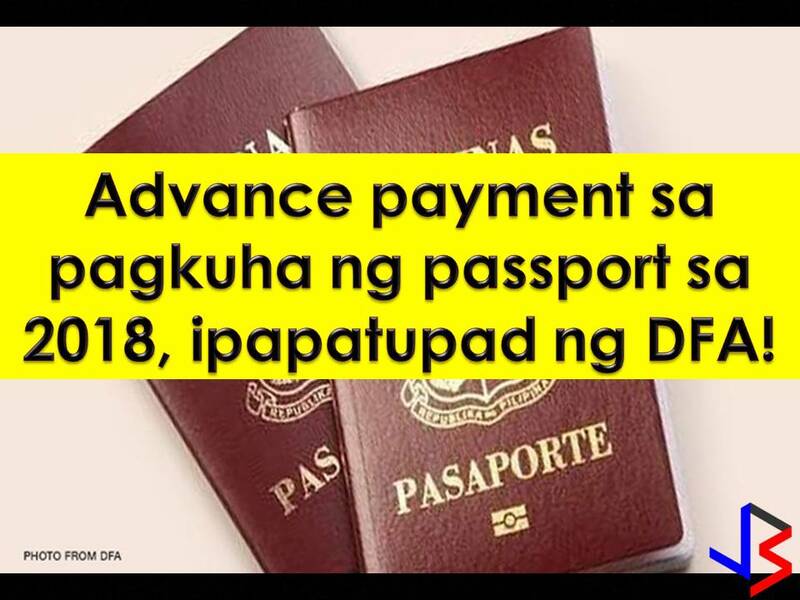 It is being reported that DFA will start the processing of passport with 10-year validity but processing fee remains the same. Applicants may choose regular processing or 20 working days for P950 or express processing (10 working days) for P1,200.